The much awaited Apple wrist watch is finally making its debut on March 9, Tim Cook claims that the watch may one day replace car keys and reward wearers for exercising. In an interview with The Telegraph. , Mr Cook also confirmed the watch's battery will last the whole day, and will not take as long to charge as an iPhone. 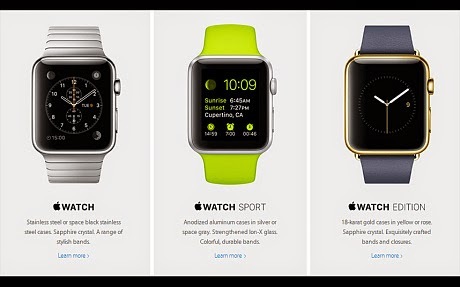 The big event on 9 March will showcase the Apple Watch; and it will be launched to consumers in April. Cook, needless to say, is already wearing his new Apple Watch. He couldn't even contemplate living without it anymore, he says.